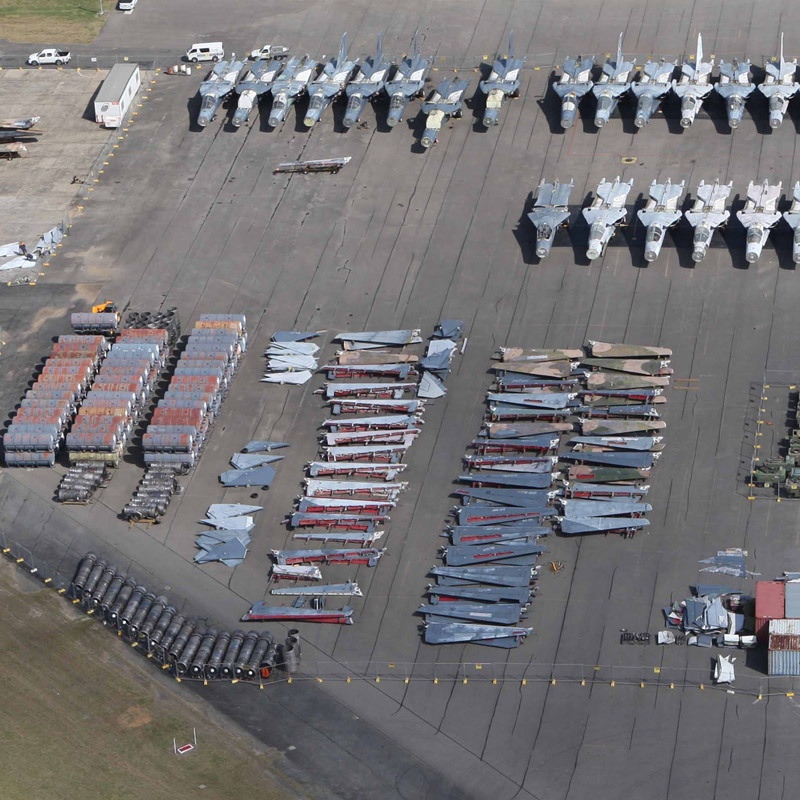 The F-111 Fleet of Aircraft served as key defence assets between 1968 and 2010. The Department of Defence required a fully qualified and experienced contractor to successfully and safely dispose of the fleet and its critical spares. Birdon was awarded the contract which included the recycling of valuable metals as well as disposal of hazardous materials such as boron, asbestos, fuel, various oils and greases. These items needed to be safely and responsibly destroyed and disposed of before the recyclable metal values could be recovered. Birdon set up a secure, undercover, bunded, pre-destruction preparation area where hazardous materials were removed and contained. This reverse engineering process ensured only clean metals would be processed into scrap. At the completion of the destruction and disposal project, the work site was remediated and demobilised before final environmental checks were done to ensure that the site was free of contamination.